Kraken is one of the best-levied cryptocurrency exchange service provider for professional traders of digital currency. 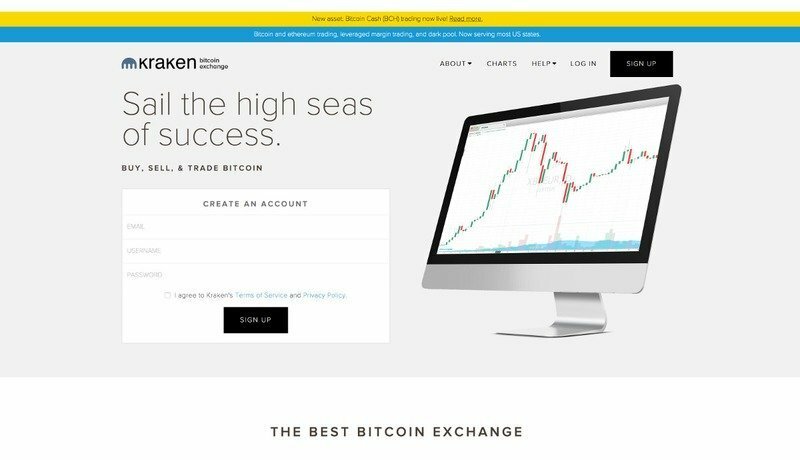 Kraken cryptocurrency exchange deals in Bitcoin exchange services. It is technologically advanced and reliable for traders as it has a vast user base for frequent tradings. The well-designed trading engine of Kraken is high-speed. Although most of the exchanges comply with a fixed rate of fees. However, at Kraken, the fees are mostly between 0.1 % to 0.35% based on the trade volume. However, the traders who are offering liquidity get everything at 0% fees. This exchange provides high standards of security for Bitcoins as it comprises experienced professionals of digital currency for seamless and model-driven advanced technology that simplifies the business of Bitcoin exchange. Kraken was founded in San Francisco in 2011, and it is considered the largest Bitcoin exchange in liquidity and Euro volume. It also started trading in other foreign currencies like US dollars, Canadian dollars, Japanese yen and British pounds. Kraken is consistently ranked to be the most trustworthy and secure Bitcoin exchange organization by several media. Most of the traders certify Kraken to the safest secure place to trade Bitcoin exchange. It is also trusted by several esteemed banking corporations like Germany’s BaFin regulated Fidor Bank and Tokyo government’s court-appointed trustee. It is the first exchange to pass cryptographically verified proof-of-reserves audit is also the partner of the first cryptocurrency bank. It was the first Bitcoin exchange to display the trading price and volume on the Bloomberg Terminal. The mission of Kraken is to present an extra-ordinary Bitcoin exchange experience to its users.